I enjoyed reading that pithy quote, Deborah. I’m going to put the book on my wish list. Thanks for pointing it out to me. I can see that there is a lot of material there for pondering. I came across von Rydingsvard’s work about five years ago and was awed. I’ve listened to a number of interviews with her. Love her work! Like Nancy, I will have to put this book on my list. Knowing both of your tastes, I think this would be a compelling addition to your libraries. He is thoughtful and an excellent writer. Thanks for stopping by, I value your thoughts. 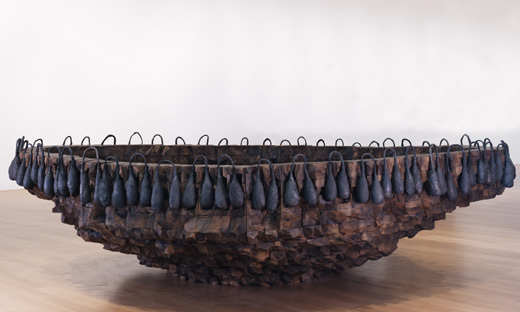 Me, I’ve just stumbled upon you via 1 bookshelf, and find the Ursula von Rydingsvard work sings deep tones to the heart. The religious imagination – what a beautiful concept – birth to the otherness of each individual in process.